The view from the street is much different. 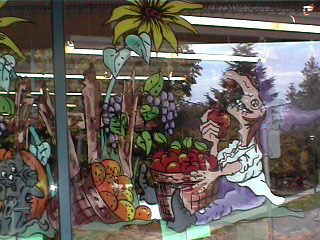 Most grocery markets like to get their Harvest windows up by mid September. This way you can leave them up until it is time for CHRISTMAS WINDOWS.